Working at Age UK it’s impossible to escape the topic of loneliness. It affects upwards of 1m older people in the UK and is practically invisible to most of us. There are things that can be done, but it’s tough. Lonely people are – by their very nature – hard to find and identify. 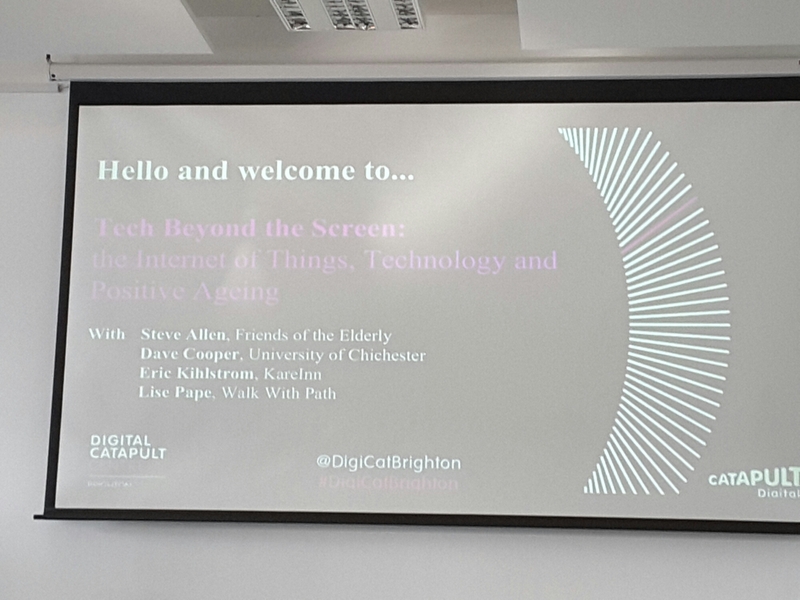 On Thursday evening, I went to a fascinating event at Digital Catapult Brighton called Tech Beyond the Screen: Positive Ageing. It was to stimulate debate and discussion about how we can use technology in the social care sector to improve both older people’s lives, but also those who do the caring.